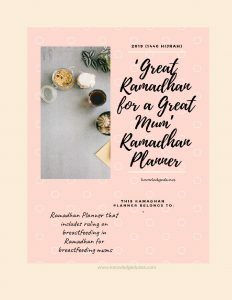 ‘Great Ramadhan for A Great Mum’ Ramadhan Planner was designed to help mothers to keep organized in Ramadhan despite their busy schedule. Filled with 12 logs and planners covers almost all the needed task to be done to grasp the most of Ramadhan. It also contains the related authentic hadiths and verses from Al Quran with regards to the mentioned actions to be done in Ramadhan. The book also contains simple rulings on breastfeeding and fasting for breastfeeding mums. Dr Fadzidah Ariffin UmmuAbdullah is a medical graduate from National University of Malaysia with 4 years of working experience as a medical doctor. Currently residing in Malaysia, Dr Fadzidah has had lived in several countries following her husband working abroad in Egypt, Sudan, France, Oman and Qatar. Being a mother raising up 6 children in foreign countries has gained her a lot of experience with different cultures and people. She is currently a student in Islamic Online University, has taught Weekend Islamic Classes for english speaking children and teenagers in Oman and Qatar. She is passionate in serving the ummah through Islamic integrated education. All rights reserved. No part of this publication may be shared, reproduced, distributed, or transmitted in any form or by any means, including printing & photocopying, recording, or other electronic or mechanical methods. Adhering to the copyright policy will enable the IOU University Press to expand and continue to publish beneficial works. This is a Digital Rights Management (DRM) free book which the buyer may store in multiple devices for personal use only. Sharing and redistributing the book is forbidden. One day, you will look back at your life with a feeling of satisfaction and happiness. You will be grateful for all the amazing things you achieved. You will be a model of confidence and achievement. 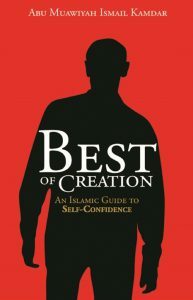 On that day, you will look back and reflect on the day that changed everything for you: the day you started reading Best Of Creation: An Islamic Guide to Self-Confidence. Best Of Creation was written for you, by someone like you, who had low self-confidence, then discovered the Islamic formula for improving it. Shaykh Ismail Kamdar was once a timid young man with low self-confidence. 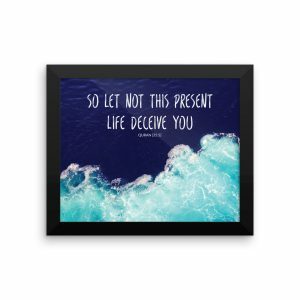 Over the years, he studied many important resources on the topic and utilized the principles he learned to build himself up to the level he is at today. Today, Shaykh Ismail is the faculty manager of the Islamic Online University, the founder of Islamic Self Help, author of multiple eBooks, an influential blogger, a seasoned Radio Presenter, and a homeschooling father. He has built the confidence to help him achieve all of the above, and through this eBook, he will share with you the tools to help you do the same. Getting The Barakah was designed to help Muslims tap deep into their souls and unlock their potential. Filled with tips, tools and resources for improving your time management skills, this book has helped thousands of readers become more productive. 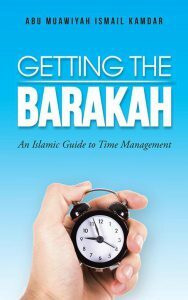 In this book you will learn how to prioritize, avoid distraction, manage your time, find the best time for each task, gain barakah in time, and more. Shaykh Ismail Kamdar is considered a Time Management Master by everybody who has ever worked with him. On a daily basis, Sh Ismail runs the Islamic Online University’s Faculty as its Faculty Manager, homeschools five children, writes books and articles, runs Islamic Self Help as its founder, and still makes time to have fun and spend time with family. Hopes of a brighter future, better opportunities and financial freedom are just a few of the empty promises that human traffickers make to lure trusting Gambian youths into abandoning their families and their homelands. The reality is that a treacherous journey awaits youths that are duped into risking their lives for nothing more than broken promises and blatant fabrications. 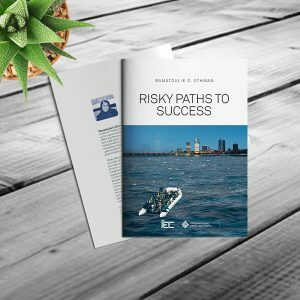 The book “Risky Path to Success” is an eye-opening read that is a no-holds barred depiction of what really happens to youths who are preyed upon by human traffickers and become trapped in a merciless cycle of exploitation. 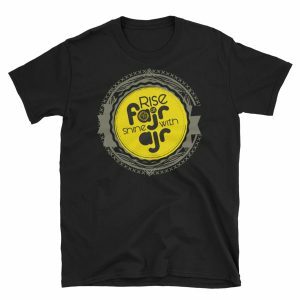 Most importantly, it provides sensible life lessons to inspire youths to become successful on their own merits, in their own country and without falling victim to traffickers who only care about their bottom line – money. Disclaimer: The book will be sent through our office in India via Indian post. Buyers are kindly requested to provide the full address with necessary details. If the book reaches the destination country and is returned from there because incorrect address was provided, it will incur additional charges for reshipping the book. 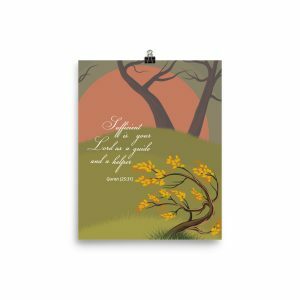 Every human falls into sin at some point in their life or another. It is during these moments of weakness that that a person may feel hopeless and despondent. But God is Most Forgiving and Most Merciful. Islam teaches that God forgives any sin that a person repents from. 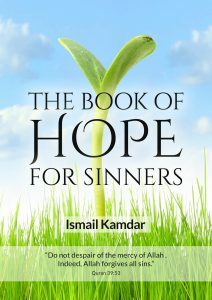 This book is a collection of Quranic verses and narrations from Prophet Muhammad (Peace be upon him) which aim to inspire hope and transformation in the hearts of the believers. Every human falls into sin, but there is always a way back. This book will show you how. Shaykh Ismail Kamdar is a graduate of a traditional Alim program and also holds a Bachelors in Islamic Studies. He has studied Islam in both tradition and modern settings and has been a student of Islamic Studies for almost two decades. He began studying Islam full-time at the age of thirteen, began preaching at the age of sixteen, and wrote his first book at the age of twenty-three. Over the years, he has taught multiple courses and seminars around the world, and has worked with multiple leading Islamic organizations across the globe. He currently works from home freelancing for various organizations and companies, while homeschooling his children and writing books. He hopes to inspire the ummah to return to their former glory and become a role model for the world once again. Download the digital comic book parents, teachers and children all enjoy! 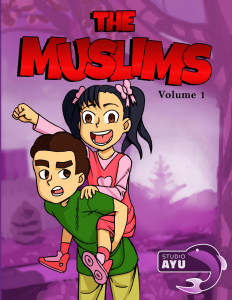 “The Muslims” is about 2 kids, Hani and Huda Muslim, and the lessons they learn through everyday life. Each of the 5 chapters tackles different moral issues such as stealing, sharing, being grateful and much more. Join Hani and Huda as they learn different aspects of Islam through their interactions with their friends and family. Adhering to the copyright policy will enable the IOU Store to expand and continue to publish beneficial works. 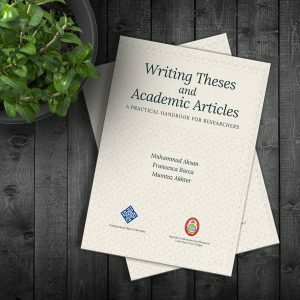 “Writing Theses and Academic Articles” is directed to graduate students and young academics who are willing to make a contribution in the scientific community. The book is both a practical guide for structuring and editing academic material, and a reflection from the authors about the situation of Muslim scholarship. While for much of its history, Islam has been at the forefront of knowledge, nowadays social, economic and political circumstances seem to hinder many young Muslims from achieving academic excellence. The authors hope that this book will be the first step, theoretical and practical, for helping in the renaissance of Muslim scholarship. This book is also available in digital format. If you wish to purchase a digital version of the book please click here. This book is also available in printed form. If you wish to purchase a printed copy of the book please click here.